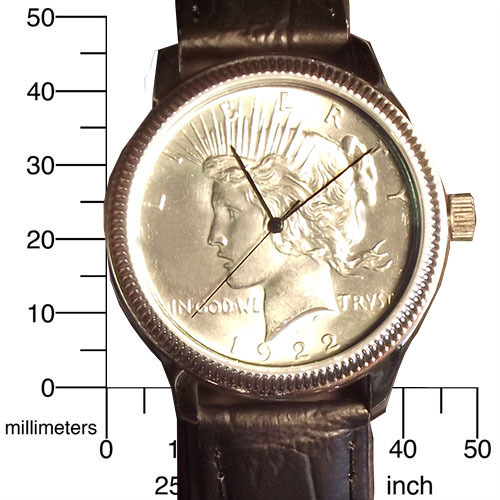 Peace Silver Dollar Liberty Coin Watch, the dial is a genuine US Mint issued 90% pure silver Peace Silver Dollar. 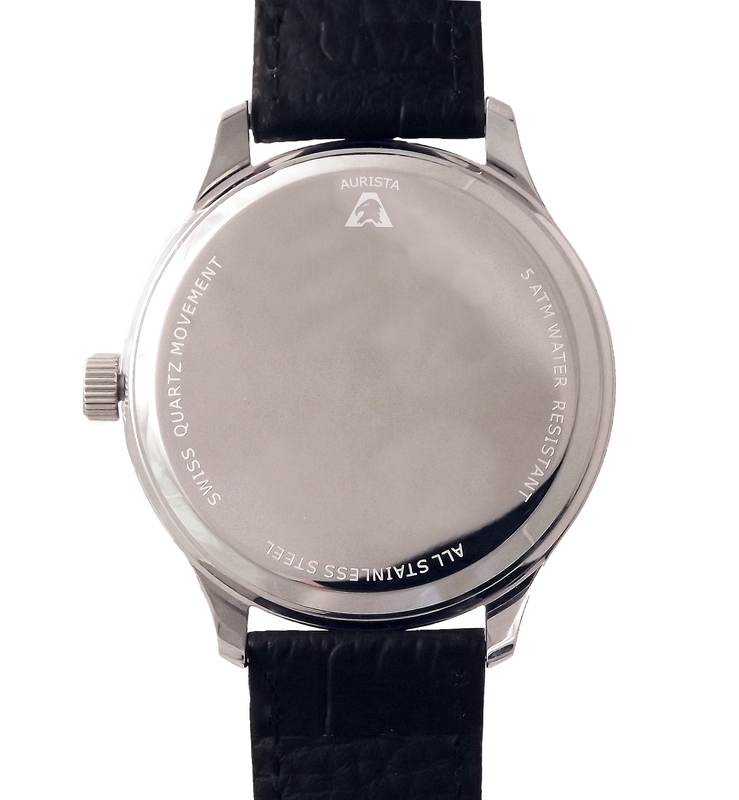 Swiss movement, Stainless steel case and genuine leather strap. 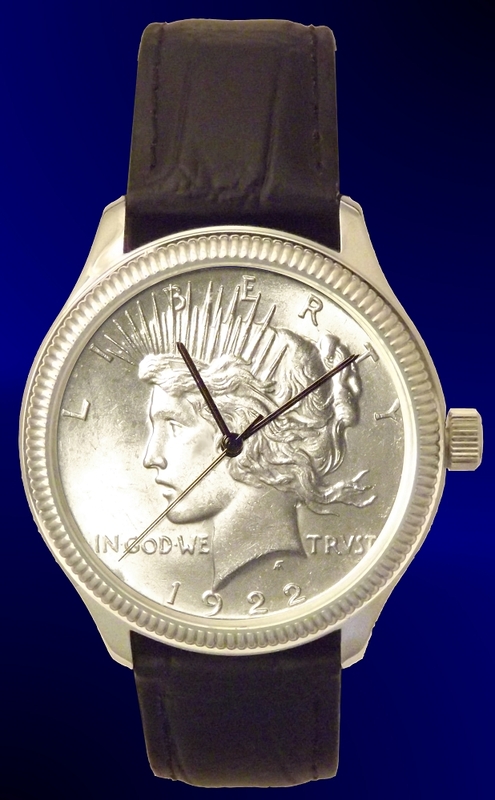 Aurista's Peace Dollar watch is a true rarity. The dial, available in a choice of dates and mint condition, is painstakingly crafted from a handpicked US Mint 90% pure silver Peace Silver Dollar with its collector mint finish undisturbed. The Peace dollar was authorized by the US Congress and issued 1921-1935 to memorialize the end of World War I, the "Great War" as it was known at the time. Its 38.1mm diameter, like its predecessor, the Morgan Dollar, makes a substantial statement as a robust, attention getting timepiece. With over 25 years experience, we're proud to be one of only watchmakers to our knowledge able to offer this heirloom quality coin watch. A genuine Swiss quartz movement powers each Peace Dollar coin watch, which is secured within a stylish stainless steel case and genuine black leather strap. 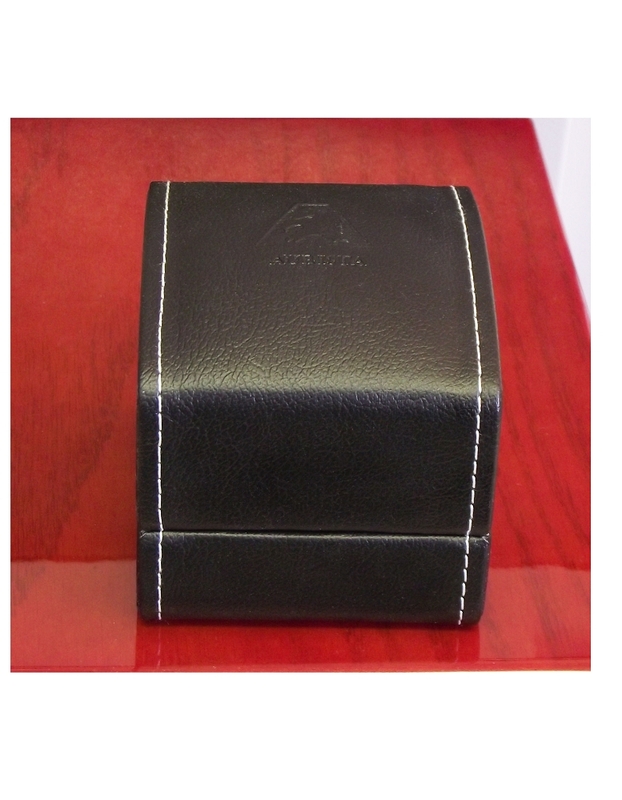 Each includes a lifetime limited warranty and is accompanied by a unique numbered signet and certificate of authenticity.